Psalms 56:8 You have taken account of my wanderings; Put my tears in Your bottle. Are they not in Your book? Tears can appear on our face from good emotions such as laughing, joy and extreme happiness. They can also appear from being upset, mad, angry, hurt, and from pain. 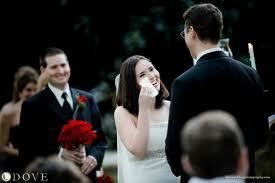 Throughout history people have collected tears as a custom. I personally have cried many many tears. Yesterday I cried in our church service with my son’s girlfriend. It was a very special moment. We were singing during the praise and worship and I was so moved by the song. We were singing about loving Jesus and you all know how much I love the Lord and the tears of joy and love just came out of my eyes….then I noticed she was crying too….so I said to her.…isn’t God good? Those were such good tears and it felt good. My mom went home to be with the Lord February 2011 and I tell you….there were many tears that fell from my eyes that week and many after. They were tears that reflected a lot of heartache. Tears come from the emotions of the heart in real time….what’s happening in your mind at that very moment. Tears are good and they are necessary. I believe without them we would implode if you are the type to hold everything in and explode releasing anger if you are the type to unleash your emotions in this manner. Crying out ones emotions is a good thing to do. Be careful where you do it though….if you are in an airplane or at work and you break out in a loud cry….folks will think you are out of your mind! If you do it at a funeral…well….it’s expected. I like to cry alone…but my husband has seen a great deal of my crying….and he’s a man of great compassion….he better be…or he’d been in the dog house LOL….just kidding…he is a good man! Now what does God think about our crying? He’s very compassionate and caring and God with His God ways ( the Holy Spirit administers the grace and mercy of God) comforts us like no other. Don’t try to fake God out with your much crying because He sees the heart and knows if you are really at your real place of I can’t take it anymore pain. 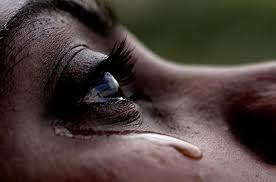 God is such a caring Father that not one of your tears/ prayers have ever gone unnoticed by Him…in fact He knows about every one of your tears…the reason you cried in the first place…. and they are in His book. Many people in the bible have cried out to Him…even His own Son Jesus. I’m sure Jesus tears that He cried for us at Gethsemane are in a bottle in a special place in heaven and Jesus did weep..…He was human…so He knows all about our tears. God promises to wipe every tear from our eyes! What a tender act for our God to do one day for us. There will never be a reason for a single tear to ever fall from our eyes again. My mom had a disorder called Sjogren’s syndrome which causes very dry eyes…she could not cry. She had no way to express her pain emotionally. She would always say….I wish I could cry!! Good or bad she wanted to cry…but sadly…could not. Message for today: Cry….Cry if you need to….go ahead….get it out…the bad…the good. God made us this way for a reason. Our bodies were created to handle a full life. Your heart will beat about 3 billion times and we will shed about 31 gallons of tears in our life time. Amazing! I love how God uses tears as an outward sign of an inward work (much like baptism… the use of water as an act before people to show our inward commitment to Jesus… I think there is a strong link between baptism and crying?). When He is at work healing our hurts, and restoring us, we often cry tears… I’ve seen it alot in churches, especially when the worship is on fire! I believe that in these moments, God, through His Holy Spirit, is communing directly with us, healing away those hurts that we didn’t even know we had, and then mid-song, we begin to tear. If I know one thing about the Lord, it’s that water is always a good thing in the long run! The Lord uses water to refine us… Look at Genesis 6 and 7, God sends a flood to cleanse the earth. Psalm 23:2 “he leads me beside quiet waters, he restores my soul”. Luke 3, Jesus is baptized. And, as your rightly pointed out in your post, people cry throughout the bible, all the time! I think crying is a good thing! Especially when it comes from God, because I trust that He is doing a mighty work inside of me. Wow, you brought out a lot of points. Water is involved in a lot of things in our lives. Thanks for your comments and God bless you. Tanya, I’m so sorry to hear that your mom had Sjogren’s Syndrome. It must be so horrible to be unable to cry! I like you, frequently, cry in church, . . . . . . .. . certain songs, communion service, even a moving sermon! What a wonderful God we have who made us, (except for situations of people who have a disease like your mom, which, someday we will know the why of), so that we could cry to get emotions out, good and bad! Then to promise that He will wipe all our tears dry and that for eternity there will be no more tears. For me, who has cried gallons in saddness, in pain, in happiness and is still crying and will continue to cry frequently until my time on earth is done, the thought of a caring God gently wiping my tears is so comforting. Knowing that He will see to it that we will never cry again for all eternity is really a blessing . . . . . . . .and shows us what a loving, caring God we have. I love the idea of the tears of Jesus, that He cried for us, being in a special place in Heaven. 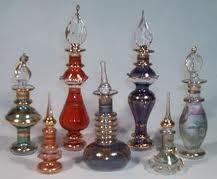 . . . . . . .I imagine that the tear bottle they are in is the most beautiful bottle ever created! Thank you for the information about tear bottles, I didn’t even know that they existed, nor that people had a custom of collecting tears. I love the knowledge that God keeps our tears…He has a wing in heaven with mine LOL!!!! I’d never heard of tear bottles before, nor of the dry-eye condition your mother had. Thanks for educating me! I know tears are good for us, but won’t it be wonderful not to have to cry over sad things one day?? Praise the Lord…that we will shed NO more tears…thank God!